The definition of the word terracotta is - FIRED CLAY, brownish red in color when un-glazed, that is used for architectural ornaments, facings, pottery and as a material for sculpture. Arizona Pottery imports terracotta pottery from Italy, China, Mexico & Thailand. There are few if any American manufacturers left. Each country has it own way of harvesting clay that is used in the forming process. And, each factory has it own way of firing the pots in a kiln. 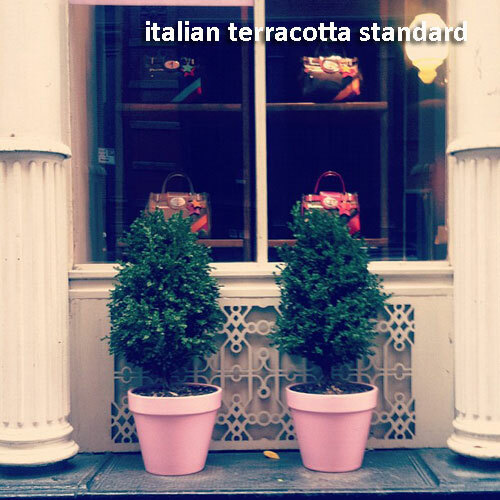 Our Italian pottery is well known in the pottery industry for having a nice smooth feel to the touch. The sun baked color is even toned and stunning. 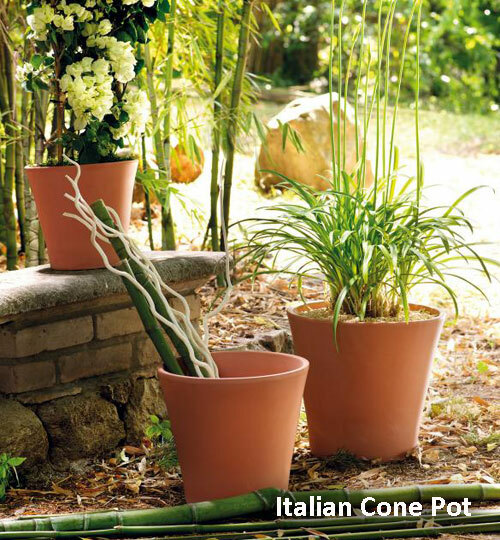 Each pot is close to identical and the manufacturing process is unsurpassed. 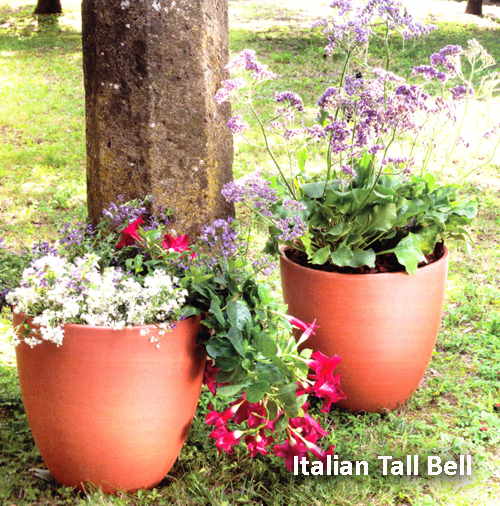 These pots are hard packed which makes them less porous and therefore more durable. Because of the compacting process they will absorb less water and no breakdown as fasts as other clay's. They are considered a low fired product. Terracotta pottery is meant to breathe. This is a definite advantage when ti comes to the health of the plants root system. Since it is porous, any water you apply to the potted soil will be absorbed into the clay. That is why you may end up with lines around the planters body. These are caused from the water applied, any chemicals in the water and calcium build up that comes from the clay. Once a pot is used it will bread down naturally over time. We sell a pottery sealer that helps to prolong the life of the clay pot. 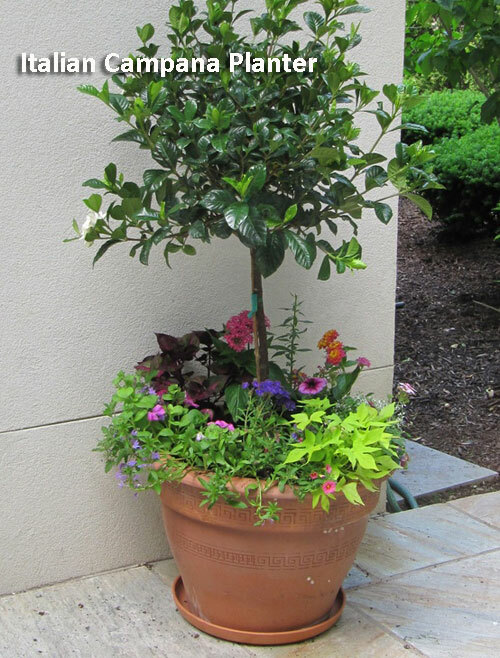 All low fired clay flowerpots & planters will break down over time. This is a good thing! 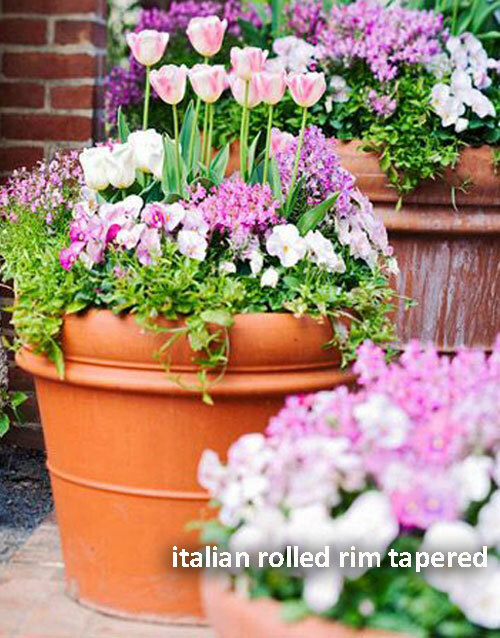 Interestingly, many manufacturers are using a powder clay mix to form their planters out of. The Italian pottery we sell does not. It still harvests the clay out of the ground, very real, beautiful & old school.So keep this in mind when comparing Italian garden pottery to other imports.